Will The Trump & Kim Bromance End in Denuclearization or Political Stalemate? Both US President Donald Trump and Chairman Kim Jong-un, the leader of North Korea, have arrived in Vietnam today for their second summit to discuss denuclearization. Trump and Kim will officially meet Wednesday and Thursday in Hanoi, Vietnam. Our Brian Becker is in Hanoi and filed this report with Loud & Clear’s Walter Smolarek. The US House of Representatives will vote Tuesday on a bill to block President Trump's national emergency declaration regarding the border. While many ... See More Republicans are expected to vote against the resolution, the Democratic-controlled House is expected to easily pass the measure, which would block the president from accessing some funds to construct a wall on the southern border. Trump has promised to veto it should it reach him, which would be his first presidential veto since assuming the office. The resolution, offered by Rep. Joaquin Castro, a Democrat from Texas, would then be taken up by the Senate in the next couple of weeks, while multiple lawsuits contest Trump's authority in court to build barriers for an emergency that plaintiffs argue doesn't exist. It is not yet clear how many Republicans would vote for the resolution in the Senate, but it is very possible that it could pass the upper chamber, where Republicans hold a majority. That would amount to a major rebuke of the president, even if he vetoes it. What does this mean in terms of real politics and symbolically as well? Have any of you have asked yourselves: who is billionaire eBay founder Pierre Omidyar, and what’s his broad sweep of influence over global media and surveillance enterprises? Max Blumenthal and Alex Rubinstein have done a three-part piece in MintPress News that explores this issue. Part 1 examines Omidyar’s use of investment to build a vast and tangled web of influence in NGOs and media outlets around the world; part 2 illuminates his involvement with regime-change networks and the surveillance state; and part 3 looks at how Omidyar has placed himself in the rare position of being able to support both the national security state and at least part of its self-proclaimed opposition. How did Omidyar build this web of influence, and why should people care? President Donald Trump's former fixer and attorney Michael Cohen is slated to discuss publicly for the first time Trump's alleged role in some of the crimes Cohen pleaded guilty to last year. Cohen is scheduled to appear before three congressional committees in three consecutive days, starting today, with one public and two private sessions. What are we to expect form this testimony? 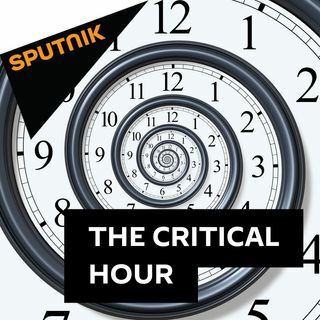 Brian Becker, John Kiriakou — Hosts of Loud & Clear on Sputnik News with producer Walter Smolarek. Shermichael Singleton — Writer and political analyst. Alex Rubinstein — MintPress News analyst and journalist.